Research: Wireless Passive Sensor Data with NFC Transmission. I’m looking into researching this as it has begun to spark my interests. Can anyone help out with this? The basic premise is to have a NFC transmission that is capable of relaying simple information about a changing sensor, such as a temp sensor(resistance). 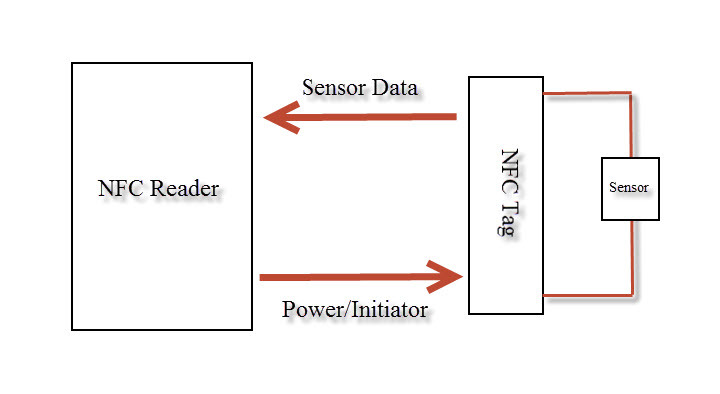 All the power would be given through the NFC reader and when it is not being read it is just idle/no power. Is this even possible? This entry was posted in Uncategorized on January 10, 2014 by Sean Hodgins.